Yarra Valley Water is constructing over 4 kilometres of critical sewerage infrastructure to support the growth of communities in Melbourne’s northern growth corridor. 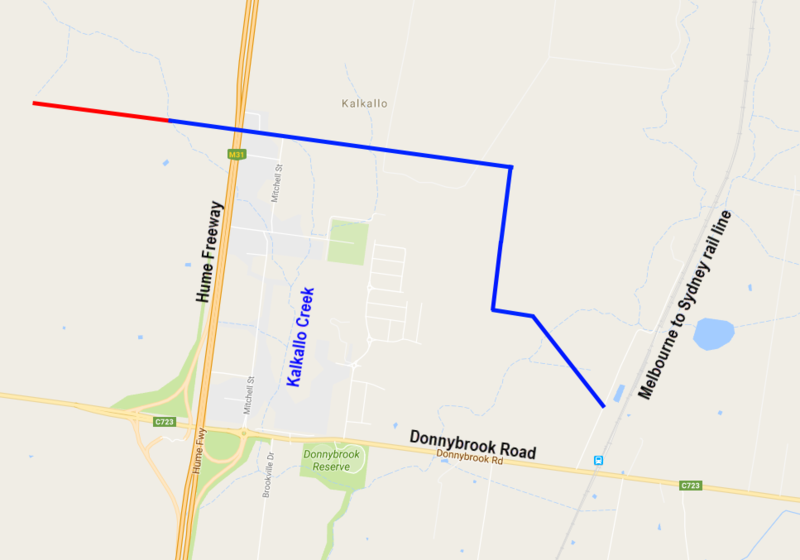 The new sewer will collect sewage flows from customers west of the Melbourne to Sydney rail line, between Donnybrook Road and the Wallan township. The sewer is critical, as it will be the outlet for all developments within the Urban Growth Boundary west of the Hume Freeway and north of Donnybrook Road, and will connect into the Amaroo Main Sewer (which was completed in 2017). Constructing 13 new sewer manholes, ranging from 1.8m to 3.5m in diameter. The red line shows where pipes will be built. The blue line shows sections of pipe we've already completed. Our contractor, Abergeldie Complex Infrastructure, has constructed a new 3.4-kilometre-long section of large diameter sewer pipe, and has built five of nine new sewer manholes, in the Kalkallo area. These works are all to the east of the Hume Freeway. The remaining works involve installing the last four sewer manhole structures into their excavated locations, and then backfilling around the manhole. Abergeldie Complex Infrastructure will then remove site fencing, clean up the work area and fix up roads and nature strips affected by the project’s construction activities. We expect these works to be completed in July 2019. 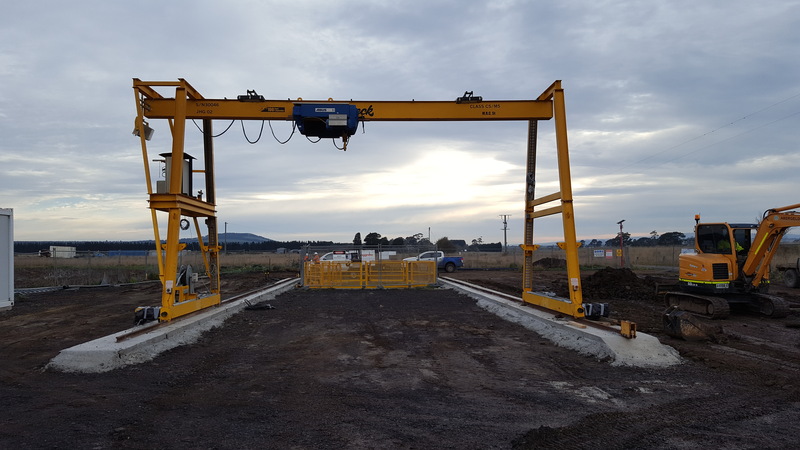 To the west of the Hume Freeway, our contractor John Holland Group is constructing a 1.1 kilometre-long section of sewer pipe and four new sewer manholes. These works are taking place within developer-owned land, and are expected to be completed by November 2019. Construction completed (west of Hume Freeway) - November 2019. Our contractors are working from Monday to Friday, between 7.00am and 5.00pm. Some Saturday work will be required from time to time. Vibration is expected to be minimal but may be noticed in close proximity to the shaft sites. We will be monitoring vibration levels. If you have any other questions or feedback about this project, please call the project manager, Ashley Hamer, directly on 9872 2661.